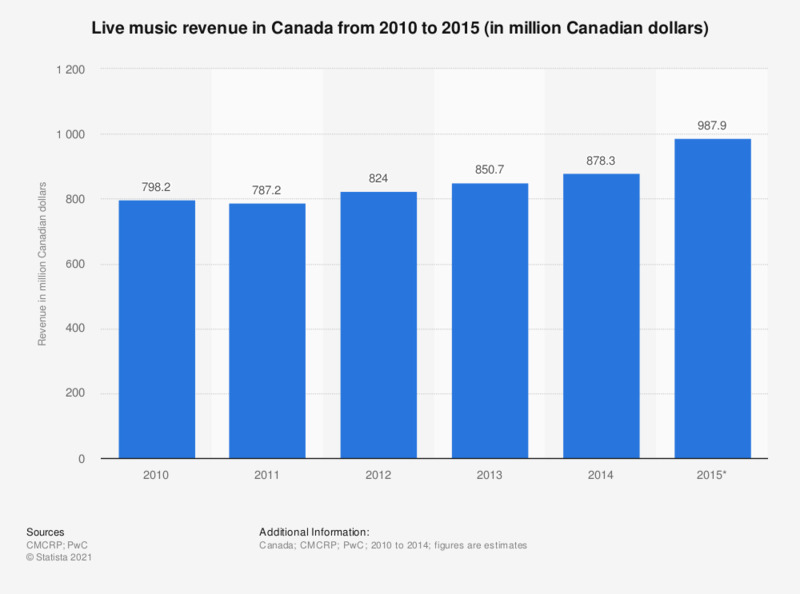 The timeline presents the live music revenue in Canada from 2010 to 2015. In 2014, the live music industry in Canada was said to generate approximately 878 million Canadian dollars in revenue, up from 798 million in 2010. *Preliminary figures, subject to change.